Once upon a time, Ben Settle was secretly sleeping in a two-room office and he was regularly mocked for selling cassette tapes door-to-do. After two years of hard living, he came to the conclusion that this wasn’t something which he was meant to be doing. He went over to the bookshelf in his bedroom-come-office and picked up a book. 7 Secrets For Success by Joe Vitale helped him to realize that he could make money by writing letters – and he’d no longer have to actually talk to people. It was a few years later that he started to specifically learn about email marketing and the different ways of getting results. His main influence was Matt Furey, who was king of emails at the time. He wanted a lifestyle where he could write an email and be done with work for the day. So he started writing emails and soon people were responding and actually buying things. 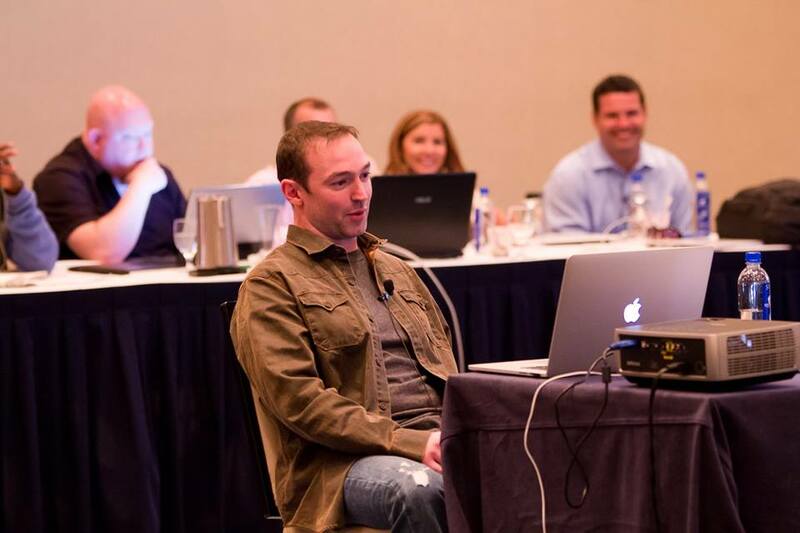 It wasn’t long before people were asking him to create an email marketing course. Now, Ben spends his time helping other people to write super emails which are full of personality, and which the reader can really empathize with. This is what gets him results, and this is what revolutionizes the emails of all his students too. When you’re good at emails, it isn’t the offer which gets the results. Instead, it is actually the email copy which is getting people to make purchases. In fact, you’ll find that people forget all about the offer when they go to your website to spend their money anyway. And as a result, Ben doesn’t have to work for the rest of the day once he’s spent 10 minutes writing the email for that day. Despite his daily emails, he doesn’t worry about people unsubscribing and opting-out. He plays to win, not to not lose. In fact, he makes sales every day. And the people who do opt out where probably not the people he was targeting anyway. Ben believes that if you have a good product which will truly benefit your prospects, it is your duty to at least let them know about it. People are not looking to be educated on their pain. Instead, they want a solution to it, and to do otherwise is selfish. To entice people onto his email list, Ben gives away the first edition of his print newsletter as a download, worth $97. With it, people can learn something which they can put into action straight away and make money as a result. He is immediately proving his worth and showing that what he does, works. He is showing his new subscriber why he deserves to talk to them, and why they should listen. Obviously, what you do to build your list will depend on your business. But you do need to have a strategy which is suitable. And avoid the temptation of inundating them with information. What you give away should be short and gives them something they can do. Otherwise, they’ll never use and you’ll never have the opportunity to demonstrate why they should listen to you. Of course, building a list is important. Without a list, you’re just talking to yourself. But you do need to actually send emails once you have people on that list. Don’t just have a larger list so you have bragging rights, actually follow up once you’ve proven your value. To write better emails, you should know who your market are, rather than just throwing the latest tactics at them. When you know them better than you know yourself, you’ll never run out of ideas as you’ll know what they actually want. It’s important to talk to them about what they’re interested in, and what got them onto your list in the first place. With each email, you should build a vision and a story which escalates to the end deal. Do this before you even think about trying to make a sale. 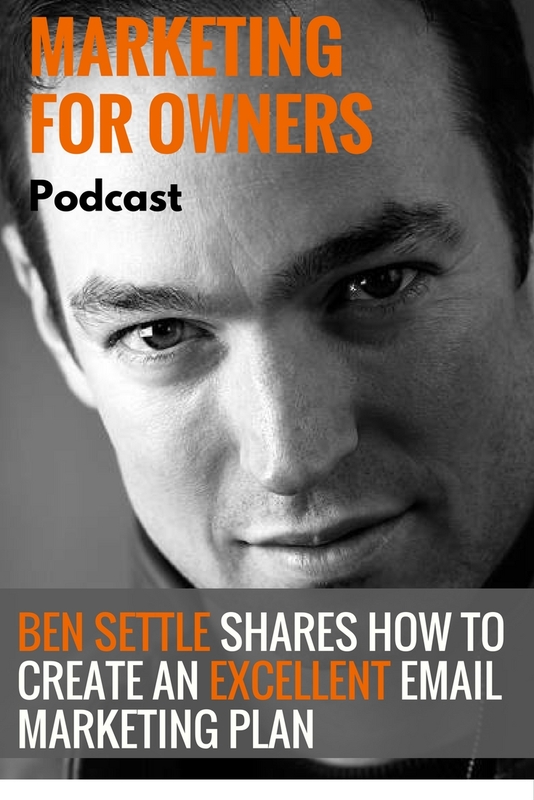 Ben has been known to write emails of 800 words, and not even mention the product until after 700 words. You need to have a reader empathizing with the story first and fully engrossed. You should also remember that it’s okay to be unokay. You don’t have to be perfect and it’s better to be human. In fact, people tend to not trust the suave salesman. After all, people are more comfortable with that. It actually makes you more relatable as you’re showing that you’re more like them. And make sure you talk to your customers in your own voice. When you speak to someone in the street, you don’t use tactics. So don’t do that in your emails. It’s all about the communication between you and that one person reading the email. And Ben talks in his emails in the same way he talks in this interview. It’s good to be able to read an email and hear the writer’s voice coming through. It makes it more personal and a lot more effective. Don’t try to be anyone else other than yourself, even if you are a Grinch-like individual like Ben. Embrace it. There is no golden rule when it comes to how long your emails are, or how often you should send emails out. However, it is important that it has a story for the reader to emphasize with. At the end of the day, an email needs to be short enough to get attention, and long enough to cover the detail. Whether that’s 100 words or 800 words is irrelevant. Build that vision and then show them the solution. However, when it comes to subject lines, short ones do better. Because we’re so used to long and self-explanatory subject lines, a brief line is so out of the ordinary that it grabs our attention. Four or five words are probably best. And although Ben in no way suggests you start deploying click bait in your subject lines, he does see that you can learn from them. After all, they intrigue you so much that you have no choice but to actually click on them. In last week’s interview, we spoke to Andre Chaperon. He and Ben are very similar as they’re both email marketing experts who think very deeply about their craft. Ben did a very good job at explaining the differences between them. Andre is much more methodical. Like a trained assassin, he spends weeks preparing and getting ready to make that kill with just one shot. He thinks about everything and plans it carefully to get the result he wants. Whereas, Ben says he is far more like a crazed person who just starts shooting. He goes with a flow and although his emails may not be planned, and as part of a soap opera, he still gets the results. The point of this elaborate metaphor is to show that although the two methods are very different, they both still get the job done. They work, and you need to find the way which works for you, your customers, and your products. When you visit Ben Settle’s website, you’ll have the option to either sign up for his emails or to go straight to his site. Just remember that if you do sign up, you get that PDF version of printed newsletter which normally costs $97. 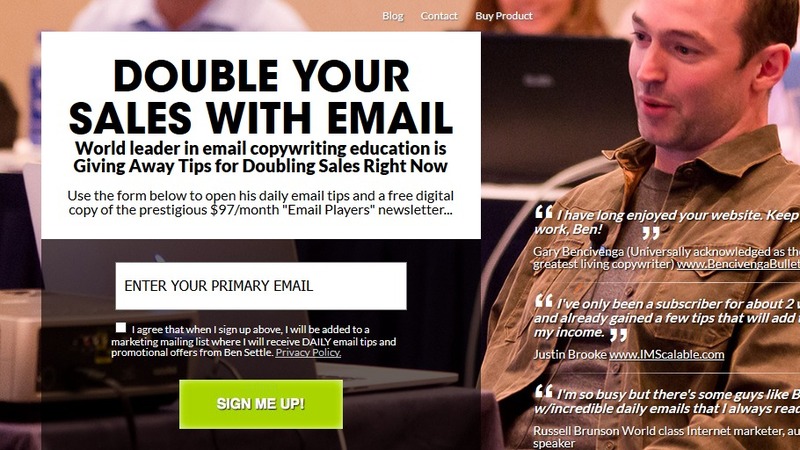 It has 24 ways to make more sales with email, which are sure to get great results. On his website, you can also see his daily emails which he posts on his blog. That way, you can prepare yourself for what you’re about to let yourself in for. And make use of the numerous hours of audio and video training resources which are free for anyone to learn from.